Studies show that there’s a major shortage of health care professionals in Florida. This gap in nurses and supporting professions could have a critical impact on the delivery of care. 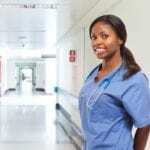 For Certified Nursing Assistants, the current demand exceeds supply by more than 1,800 workers. The population is aging, and this more than anything else, drives demands for CNAs in long-term care and home health care settings. 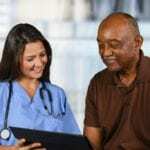 Medicare and Medicaid funded facilities have for a long time been providing financial support (reimbursement) to adults who pursue certified nursing assistant certification. Some facilities even host or sponsor workers to complete nurse aide training to take the state certification exam. 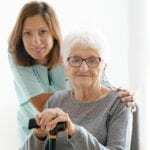 As nursing homes and other facilities work aggressively to hire more CNAs, it bodes well for students and persons considering a career in the profession. Most graduates receive job offers before completing the program or immediately thereafter. But while there are jobs aplenty and continuous demand, CNA salaries in Florida are not the most competitive. According to the United States Bureau of Labor Statistics, CNAs earn $25,230 annually. The low salary and burdensome duties are the primary reason many CNAs return to school to prepare for a career in nursing or other health profession. The nursing assistant program at St Johns State prepares students for employment as a nursing assistant in long-term care facilities. Students who successfully complete the program will be eligible to take the national nursing assistant exam to become a Certified Nursing Assistant. The program covers 120 of classroom lectures, hands-on lab, and clinical experiences in a local health care facility. Course topics include but are not limited to interpersonal skills, legal and ethical issues, medical terminology, gerontology, safe and efficient work, nutrition, health and safety, nutrition and feeding, hospice care, and Alzheimer’s care. Failure to provide the proper approvals for background check and drug test will disqualify the candidate for admission to the program. Admission is contingent upon the outcome of the background check and drug screen. STS CNA Training Center prepares students to become a nursing assistant and qualify for entry-level employment in a long-term care facility. Through a blend of classroom lectures, demonstrations in the lab, and supervised patient care experiences in an approved nursing facility, students will develop the competencies to meet the physical and emotional needs of patients and improve the quality of health care. Students are also prepared for success on the Florida Certified Nursing Assistant Exam. The 120-hour class includes 80 hours in the classroom and lab and 40 hours in a local nursing facility where students will put the 21 skills to use. Students who successfully complete the state approved program will receive a diploma. Contact admission for details on the schedule and cost. The nursing assistant program at Flagler County Public Schools prepares students for employment as a nursing assistant. Graduates of the state approved program will receive a Certificate of Completion and will be eligible to sit the state exam to become a Certified Nursing Assistant. They qualify for entry-level employment in nursing homes and long-term care facilities. The curriculum covers 120 hours of classroom lectures, hands-on lab, and supervised clinical experiences in a skilled nursing facility. The course content includes but is not limited to interpersonal skills, anatomy and physiology, medical terminology, legal and ethical principles, gerontology, health and safety training including CPR, employability skills, nutrition, and range of motion. The program is offered in a part-time schedule.